Who likes double stamping? I like double stamping! 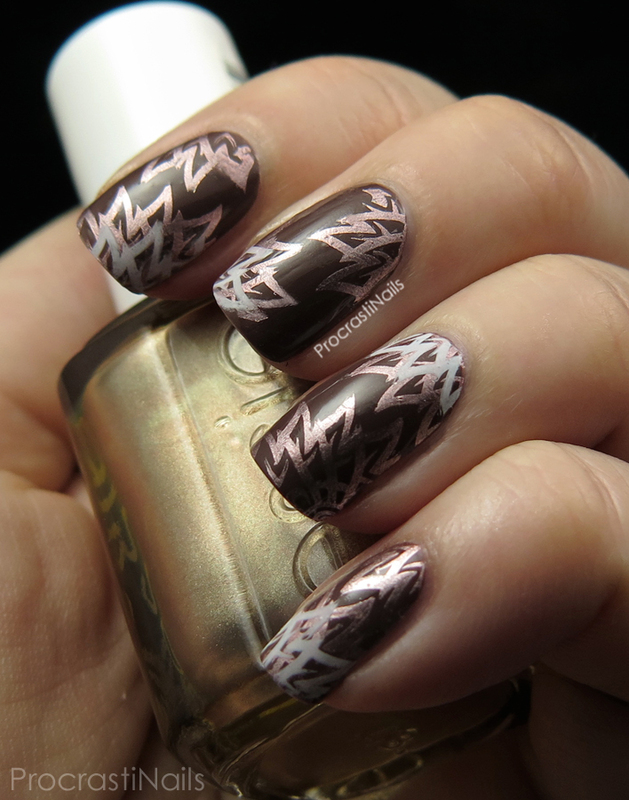 And it just so happens that I have a fun and simple double stamping look to share with you today! 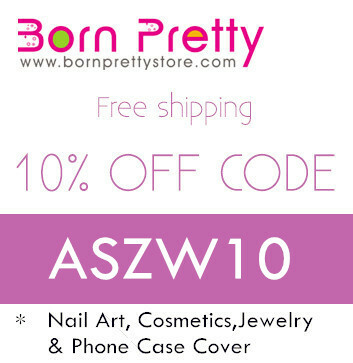 It uses plate BP-54 which I was recently sent to review from Born Pretty Store. I'm trying to be more creative with my colour choices and after swatching China Glaze Community the other day I decided I wanted to use it as my base. I let myself play around and this is what I ended up with! 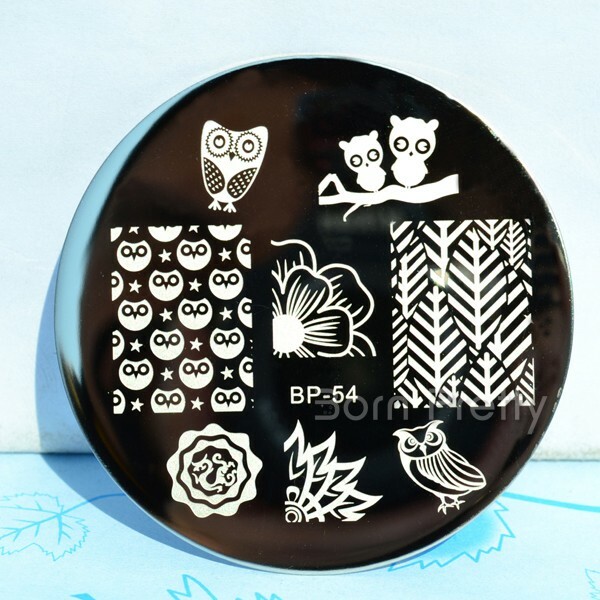 This plate is called Cute Owls Nail Art Stamping Template Image Plate BP54 and it's available from Born Pretty Store right now for $2.99. As you can see it has a bunch of lovely and adorable images on it. Originally when I saw it I wanted to do something with the full-nail owls or the flower in the middle, but when I was looking around online I saw those were the two most popular looks people did with this plate and I wanted to do something different so I went with the spiky flower at the bottom. As I mentioned before the base for this look is China Glaze Community, and my stamping was done first with Essie Penny Talk and then with some Konad White Stamping Polish. The images from the plate transferred really well, and the wee bit of patchiness in some places can be attributed to the polish I chose to stamp with. 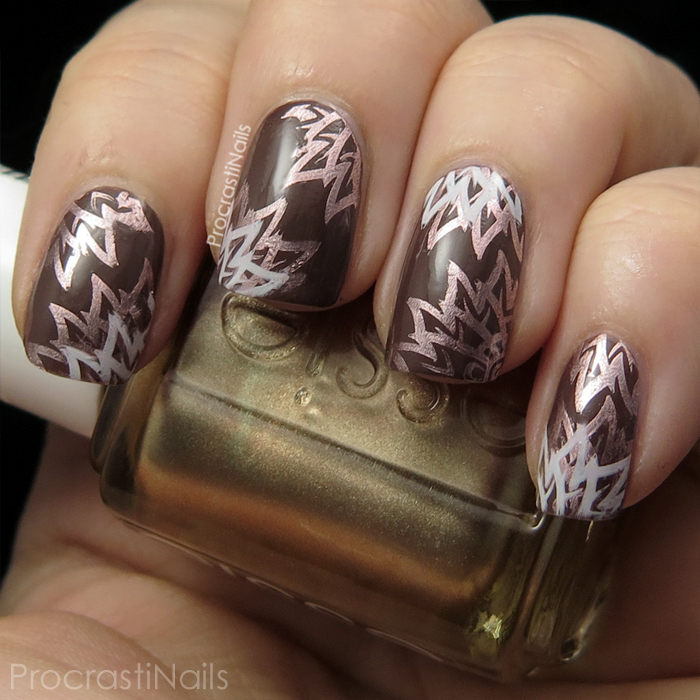 Chrome polishes dry so quickly, you have to move move move when you use them for stamping! Is this a plate you think you need? Which image do you think I should stamp with next? When I read that," Who likes double stamping? I like double stamping" all I heard in my head was the catchphrase," Who like orange soda? Kel likes orange soda." and of course the rest of the skit, " I do I do I do-ooo" I loved watching Kenan and Kel. Such a cute plate! The double stamping looks fantastic. 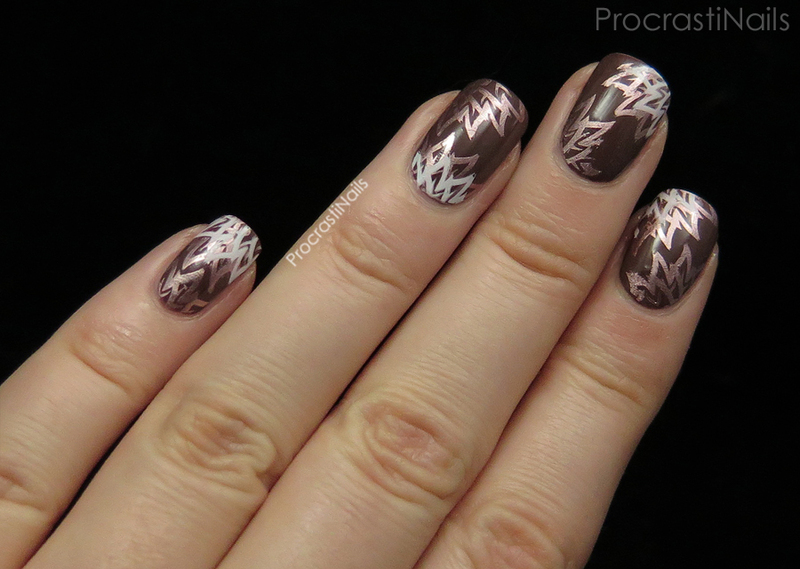 Double stamping is one of my favorite things to do this looks so pretty. And this plate looks so adorable, I need those owls! You color combos with the double stamping are perfect! I am always amazed at how golden Essie Penny Talk looks in the bottle, but the minute you use it it totally transforms to a proper copper shade! Gorgeous color combo <3. Love the double stamping! It's something I've never got right but I adore its look! I love how you did the double stamping!! Those little owls on the plate are darling too, I would definitely be pulling it back out for them too!! I love the double stamping! Wow, wow wow wow! Gorgeous! Ohhhh I really, really like this plate. There are so many great images. I have a lot of color schemes swirling around in my head.